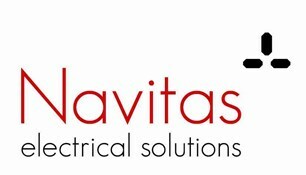 Navitas Electrical Solutions - Alarms/Security, Electrician based in Poole, Dorset. Welcome to Navitas Electrical Solutions. I am a fully qualified electrical contractor covering Poole, Dorset and the surrounding areas. I have a good reputation for quality and reliability which is backed up by my NAPIT (Part-P Domestic Installer) qualification and my City & Guilds certificates in electrical installations and electrotechnical technology. I provide free no obligation quotations for both domestic and commercial work. All my work is carried out in compliance with wiring regulations and test certificates will be issued where appropriate. If you are looking for a solution to electrical problems in your home or work place then look no further. I look forward to hearing from you.